Noel and Merrie received some Christmas presents. The number of presents Noel received was a power of 3. The number of presents Merrie received was a power of 2. The number of Christmas presents they received were consecutive numbers. How many presents did they receive? Many pupils might find this problem very easy and immediately come up with one solution. The real challenge is to find all of the possible solutions. It won't be giving away too much to tell them that there are actually four different solutions in which each child receives less than ten presents. How many solutions do you think there are? Nice starter of the day which can lead into Catalan's conjecture. This is confusing as the answers are not square or cube numbers...I think this could be improved by saying something like they each receive the same number of presents and the answers are less than 800 ...how many can you find?? Where do I find the answers? This starter has scored a mean of 3.1 out of 5 based on 279 votes. It is often very difficult choosing Christmas presents for family and friends but so here are some seasonal, mathematics-related gifts chosen and recommended by Transum Mathematics. Here's a great board game that will give any family with school-aged kids hours of worthwhile fun. Christmas is a time for board games but this one will still be useful at any time of year. Games can be adapted to suit many levels of Mathematical ability. For Maths tutors working with just one or small groups of pupils this game has proved to be an excellent activity for a tutorial. Deciding on the best moves can spark pertinent discussions about mathematical concepts. The maths we learn in school can seem like an abstract set of rules, laid down by the ancients and not to be questioned. In fact, Jordan Ellenberg shows us, maths touches on everything we do, and a little mathematical knowledge reveals the hidden structures that lie beneath the world's messy and chaotic surface. In How Not to be Wrong, Ellenberg explores the mathematician's method of analyzing life, from the everyday to the cosmic, showing us which numbers to defend, which ones to ignore, and when to change the equation entirely. Along the way, he explains calculus in a single page, describes Gödel's theorem using only one-syllable words, and reveals how early you actually need to get to the airport. This handheld device and companion software are designed to generate opportunities for classroom exploration and to promote greater understanding of core concepts in the mathematics and science classroom. TI-Nspire technology has been developed through sound classroom research which shows that "linked multiple representation are crucial in development of conceptual understanding and it is feasible only through use of a technology such as TI-Nspire, which provides simultaneous, dynamically linked representations of graphs, equations, data, and verbal explanations, such that a change in one representation is immediately reflected in the others. The analytics show that more and more people are accessing Transum Mathematics via an iPad as it is so portable and responsive. The iPad has so many other uses in addition to solving Transum's puzzles and challenges and it would make an excellent gift for anyone. Before giving an iPad as a Christmas gift you could add a link to iPad Maths to the home screen. It’s a bit of a tradition to give puzzles as Christmas Gifts to nieces and nephews. This puzzle is ideal for the keen puzzle solver who would like a challenge that will continue over the festive period (at least!). This number puzzle involves nineteen numbers arranged into a hexagon. The goal of the puzzle is to rearrange the numbers so each of the fifteen rows add up to 38. It comes in a wooden style with an antique, aged look. The films in this ambitious series offer clear, accessible explanations of important mathematical ideas but are also packed with engaging anecdotes, fascinating biographical details, and pivotal episodes in the lives of the great mathematicians. Engaging, enlightening and entertaining, the series gives viewers new and often surprising insights into the central importance of mathematics, establishing this discipline to be one of humanity s greatest cultural achievements. This DVD contains all four programmes from the BBC series. 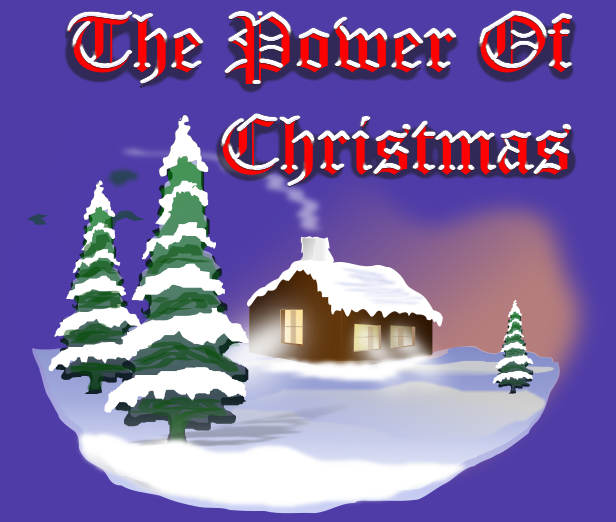 This book provides a wealth of fun activities with a Christmas theme. Each photocopiable worksheet is matched to the Numeracy Strategy and compatible with the Scottish 5-14 Guidelines. This series is designed for busy teachers in the late Autumn term who are desperate for materials that are relevant and interesting and that can be completed with minimun supervision. All the activities are suitable for use by class teachers, supply teachers, SEN teachers and classroom assistants and cover topics such as 'How many partridges did the true love give all together?' and 'Filling a sleigh with presents by rolling a dice!'. Children will have lots of fun working through the Christmas Maths themes but also gain valuable skills along the way. Click the images above to see all the details of these gift ideas and to buy them online. Here is the URL which will take them to our Indices Pairs game. Many more ChrisMaths activities available.